Estoy muy contento.Estoy esperando en el milagro del tiempo , y de repente lo mismo vienen de la nieve de las calles ....Mientras tanto, tengo una campera de abrigo y calienta mis cortos favoritos ..
Imagínese estos cortos 12 años .. Los tengo en el taller de ropa vintage . Me encanta el cuero y me gusta el hecho de que los diseñadores le dan un lugar especial en esta temporada. Les deseo a todos un gran fin de semana y el amor! Well, that starts the weekend .. cheers ..))))Thank you that you write me your comments,I am very pleased.I'm waiting on the weather miracle, and suddenly all the same come the snow from the streets ....In the meantime I have a warm jacket and warms my favorite shorts .. I love leather and I like the fact that the designers give it a special place in this season. I wish you all a great weekend and love! amazing jumper and shorts,u look very nice! Thank you so much for a lovely comment and for following! You have a wonderful blog and I'm following you too. Shorts are amazing!....their cut and leather material are perfectly combined! Thank you for your comment! Love your shorts and bag! Amazing! These are cute lovely outfit. You look fabulous and those shorts look new! Qué guapa. El jersey te queda muy estiloso! beautiful! 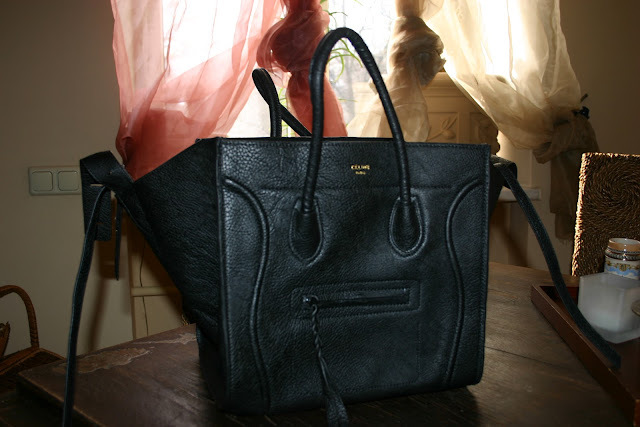 i love your celine! Thank you, thank you for your kind comments ..
Gorgeous and drooling over your amazing leather shorts.